Year on year holiday destinations fall in and out of favour for a variety of reasons. Travel insurance policies vary, from destination specific to worldwide and often travel trends can be reflected in the policies that are being taken out. This year is proving to be an excellent year for Hong Kong. During the month of July, Hong Kong has experienced a boom in its visitor numbers, seeing almost 3.14 million people visiting in that month alone. 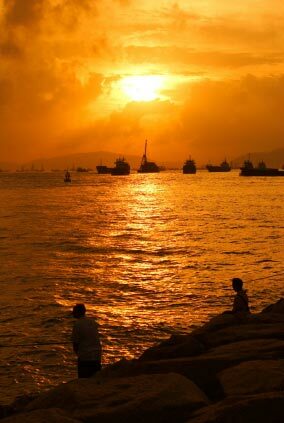 The figures have been released by the Hong Kong Tourism Board and show a 31.9percent year on year rise. For the first seven months of 2010 the total visitor numbers to Hong Kong has almost reached 20 million, a rise of 24.4 percent compared to the same period last year and a rise of 15.8 percent on 2008. Hong Kong’s 2009 visitor figures were down on 2008 figures due to the human swine flu break out which badly affected the tourism industry across the region. The majority of travellers to Hong Kong in July 2010 have been from mainland China, with more than 2million choosing to travel there. This marks a 40 percent increase on July 2009 and is the largest number of visitors from mainland China in one month. Hong Kong is also increasing in popularity with travellers from other short haul markets and is seeing steady growth from long haul markets. During July, visitors from long haul destinations, including the UK, rose by 10.6 percent. The Hong Kong Tourism Board has identified a number of emerging markets where they expect to see ongoing growth over the coming year; these include Russia, the Middle East and India, which have already shown growth of 86.0 percent, 47.5 percent and 44.9 percent respectively. Travel insurance specialists, World First, offer single trip and cheap annual travel insurance policies to cover worldwide travel, Managing Partner Martin Rothwell said: “Hong Kong’s figures for July show a major increase in visitor numbers. As a destination Hong Kong has a lot to offer and it often features in our lists of popular destinations. Hong Kong has planned well for the growth in its tourist industry with fantastic infrastructure and facilities for visitors.